Howard Johnson Name Badges really help show off your brand. We are direct ship manufacturers helping franchise owners since 1993. Avoid the middle-man and order from us direct. We offer simple to classy designs and many optional name badge holders including our triple strength magnetic. 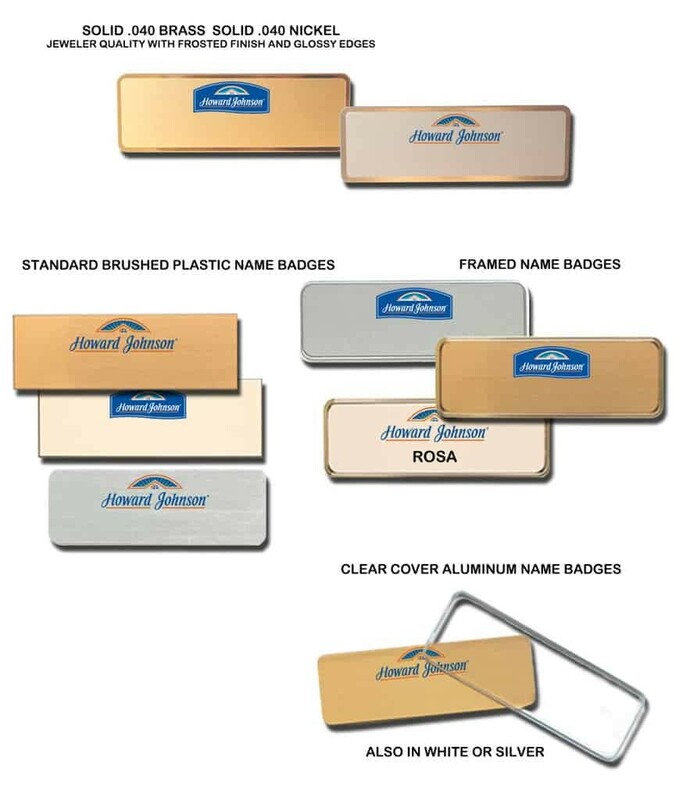 These are samples of logo name badges we’ve done for Howard Johnson. By Name-badges.com Inc.